A group of people are on a mission to bring Bitcoin back to the state of Wyoming after unfriendly laws made it impossible to transact with cryptocurrencies there more than two years ago. 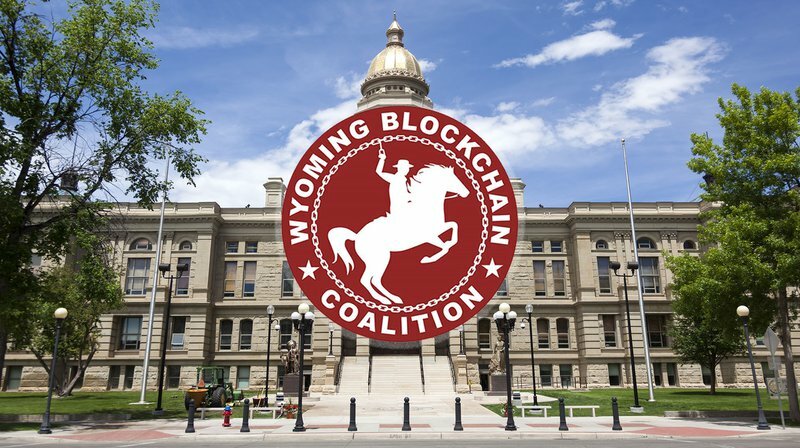 The Wyoming Blockchain Coalition announced its formation this week. Its volunteer members aim to create a legal and regulatory environment in the state that welcomes cryptocurrencies and blockchain technology companies with open arms. Among the group’s advisors are Patrick Byrne, CEO of Overstock — Byrne lives in Utah but has been a Bitcoin advocate for years — a former Wyoming governor, and two deans and a computer science department head from the University of Wyoming. Bitcoin used to be welcome in Wyoming. But a 2015 interpretation of the Wyoming Money Transmitters Act (which the state passed in 2003, years before Bitcoin even existed) by the Wyoming Division of Banking made it impractical for cryptocurrency exchanges to operate in the state. Cryptocurrencies are not specifically included on the list of “permissible investments” within the Act, as stocks or securities would be. As a result, after learning it would have to put up huge financial backing to stay in operation in the state, Coinbase suspended its operations in Wyoming indefinitely in June 2015. But a lot of people think the law doesn’t make sense. They see cryptocurrency as the future, and they think Wyoming would benefit from being more progressive. Caitlin Long is one of those people. Now living in New York, where she serves as chairman and president at smart contracts platform company Symbiont, Long grew up in Laramie, Wyoming. Over the summer, she wanted to give back to her alma mater. But when she went to personally fund an endowment for female engineers at the University of Wyoming, she found out the school was unable to accept her bitcoin as an appreciated asset. Fortunately, Long was able to find a charity outside of Wyoming that could legally liquidate the bitcoin and send it to the university through a donor-advised fund. “They still got the cash, but it prompted a lot of discussion internally in the university about ‘what just happened here?’” Long told Bitcoin Magazine. Long would not disclose how much she donated, but typically, donations to an endowment are $50,000 and up. “When universities have donors that are interested in donating properties, they usually try to find ways to accept the properties,” she said. The event prompted a lot of discussion among some of the people within the university and eventually led to the formation of a coalition aimed at educating about and advocating for the adoption of blockchain technology in the state. The coalition is moving quickly. Within a week, the group formed an LLC, sent out a press release stating its goals and launched a website. “This is very, very new, and it is happening in real time,” said Long. They have good reason to make haste. The new legislative session begins in February. If the coalition wants to push through a bill that will get digital currencies recognized as a “permissible investment” under the Wyoming Money Transmitters Act, they will need to move quickly. Currently the group is working on legislative language with local attorneys and legislators. Next, they need to educate the citizens of Wyoming and the legislators about the benefits of Bitcoin and blockchain technologies. Some of that will involve webinars and live events, as as well as organizing a dinner in Cheyenne during the legislative session. Last year, a similar regulatory effort, Wyoming House Bill 26, did not pass, but that was due to lack of knowledge and some “unrelated political feuds,” Robert Jennings, another one of the group’s advisor members, told Bitcoin Magazine.